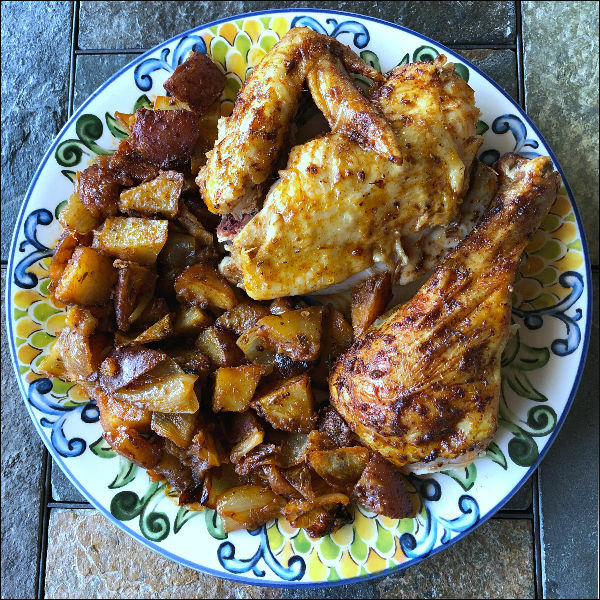 Today’s Paprika Roasted Chicken and Potatoes recipe brings a little smoky flavor into a classic comfort food dinner. 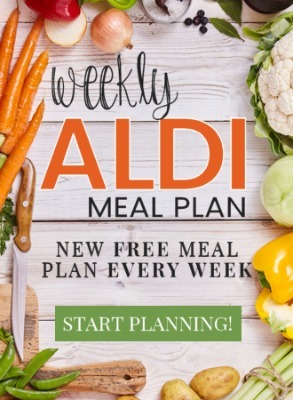 Again with the comfort food this week, right? 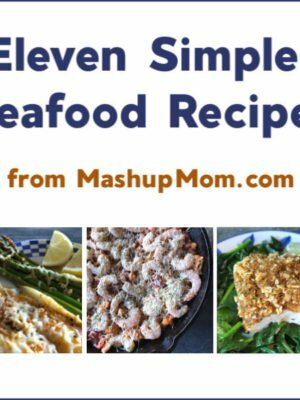 It’s just been that kind of self-soothing spring over here so far, so let’s cook it out together with real food. 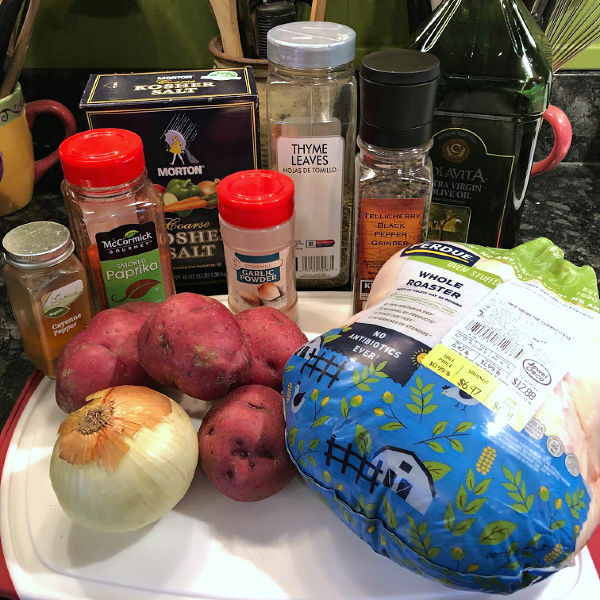 Roast chicken really is the quintessential comfort food dinner, and this Paprika Roasted Chicken and Potatoes recipe works well both to keep the chicken juicy and to infuse an addictively smoky, slightly garlicky flavor throughout. 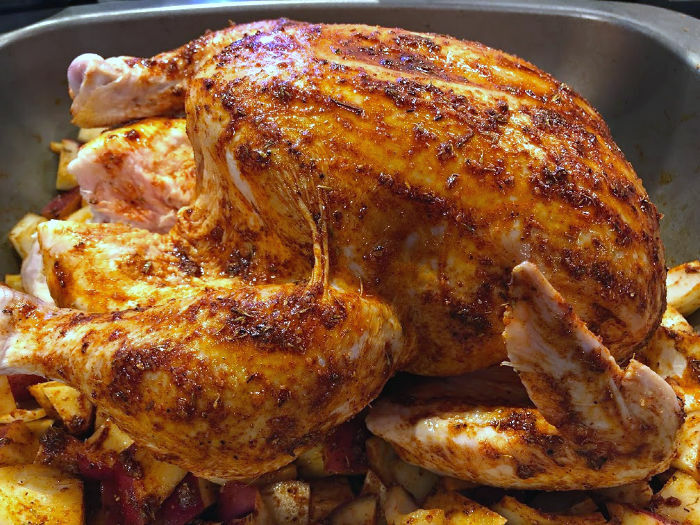 I always like to throw some potatoes in when roasting a chicken, too, so that you get a built in side dish that picks up the flavor from both the chicken and seasonings. 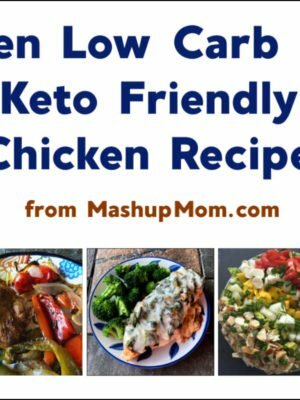 This chicken does take some time to cook, but most of that is hands-off once you get it going and into the oven. Preheat oven to 400 degrees and chop the potatoes and onion. Place the veggies in a roasting pan. 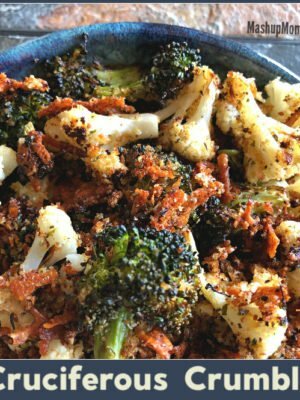 Combine the olive oil, smoked paprika, thyme, Kosher salt, garlic powder, cayenne, and black pepper in a small bowl. Toss the potatoes with about half of the olive oil/spice mixture, then spread them out evenly across the bottom of the pan. Rinse chicken with cold water, then pat dry with paper towels. Place the chicken on top of the potatoes. Rub the rest of oil/spice mixture all over the chicken, coating it as evenly as possible. Bake at 400 degrees for 65-80 minutes, or until chicken is cooked through to 165 degrees internal temperature when a meat thermometer is inserted into the thigh. Stir the potatoes halfway through the cooking time. Serve the chicken with its roasted potatoes, topping with a little of the pan juices if desired. Note: You can tent the chicken with foil while it is resting to help keep it even juicier. If you don’t have smoked paprika, you can use regular — but might want to cut down to a Tbsp, and it won’t have the same rich depth of smoky flavor. I highly recommend stocking smoked paprika in your spice cabinet; it works so well in so many recipes! 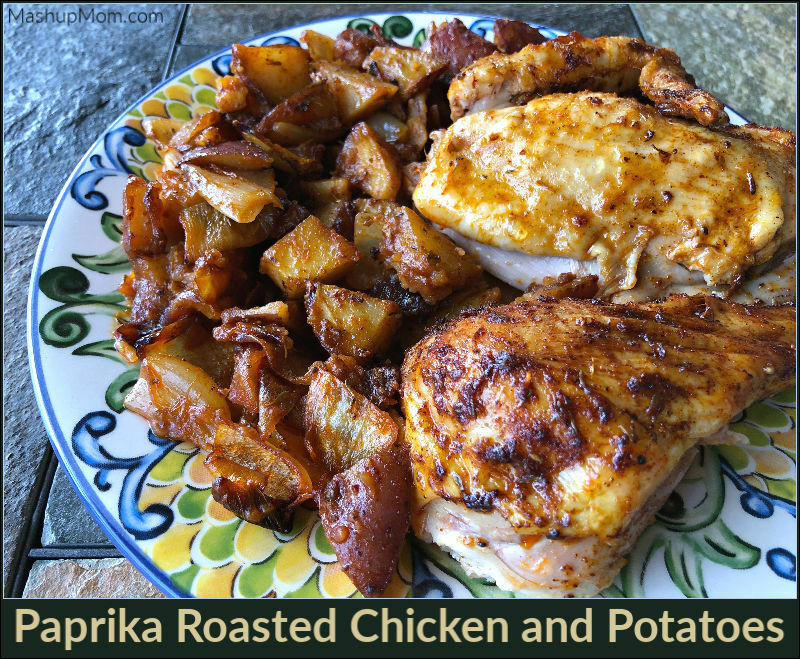 Not only can you not go wrong with smoked paprika on chicken, you can’t go wrong with roasted chicken, and… you can’t go wrong with chicken and potatoes! Some combos are classic for a reason. 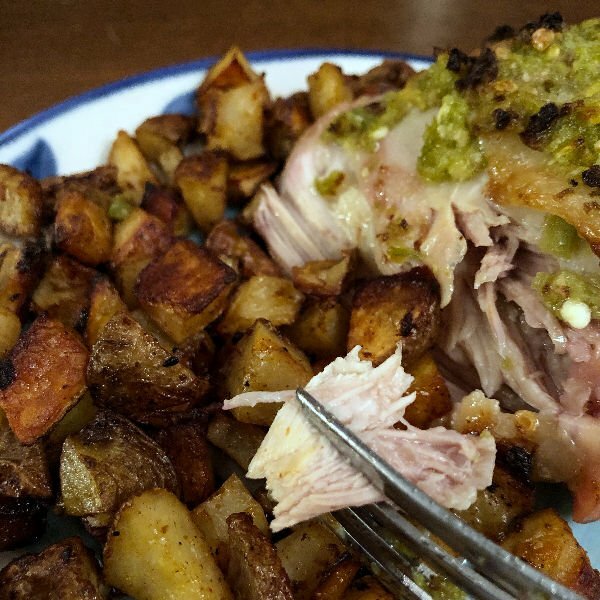 This roast chicken & potatoes recipe feeds a family of four, and you should also end up with leftover chicken to shred and incorporate into other recipes. I recommend serving your chicken and potatoes with a green vegetable or salad, to bring a little color and fresh crunch into your dinner. Give them all a try — a chicken in every pot! Um, pan. 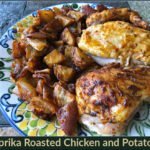 Today’s Paprika Roasted Chicken and Potatoes recipe brings a little smoky flavor into a classic comfort food dinner. 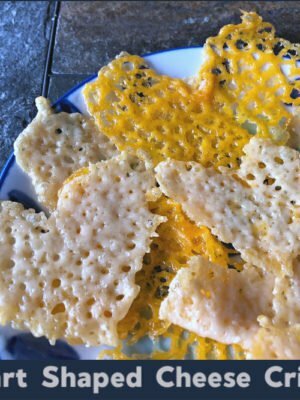 Naturally gluten- and dairy free. You can tent the chicken with foil while it is resting to help keep it even juicier. If you don’t have smoked paprika, you can use regular — but might want to cut down to a Tbsp, and it won’t have the same rich depth of smoky flavor. I highly recommend stocking smoked paprika in your spice cabinet; it works so well in so many recipes!